Lenovo Thinkpad is one of the most popular series of wholesale laptops. The opinions about Thinkpads are very positive, and the series is one of the oldest ones at the market. Just remember, that these laptops have been previously sold under IBM brand. A wholesale lot of Lenovo Thinkpad used laptops has been offered for sale by German wholesaler. 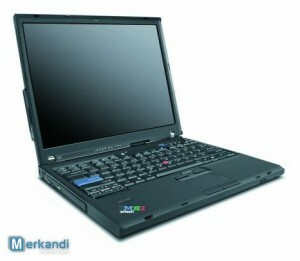 The stock consists of 130 used wholesale laptops: Lenovo Thinkpad T60 and T61 models. Obviously, the wholesaler is basically interested in selling these used wholesale laptops as a whole. Moreover, if the buyer will order the whole amount, he will grant him with a reasonable discount. Nonetheless, he is also opened for any negotiations, concerning the minimal quantity to order. Last but not least, all of these used wholesale laptops are sold under 30 days warranty. This, however, does not apply to the batteries, which are sold without any warranty.